The Wattpad Story that Started the Ebook Craze! The story of Eya’s life is now a published book. Diary ng Panget is now available in different bookstores nationwide. As of July, 2013, two books are already availableand both are priced at ₱150.00 only. 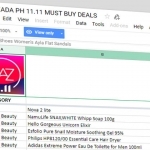 Diary ng Panget is the Wattpad story that started the ebook craze for Pinay girls. My girlfriend, younger sister and students (when I was still teaching) all got hooked to the story of an ugly girl who seemed to be surrounded with handsome (and rich) guys. The first Diary ng Panget book is now in the National Bookstore’s Best Selling List. No wonder why since we are so addicted with pocket books and wattpad stories are very similar to pocket books. 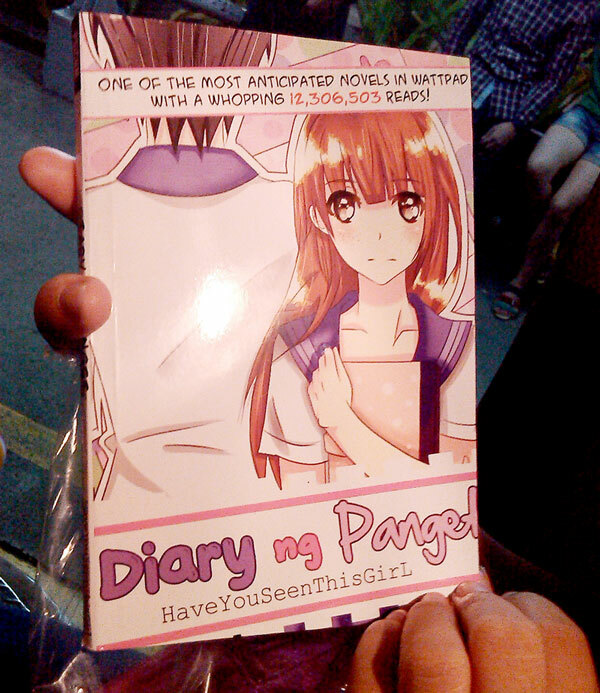 We bought our copy of the Diary ng Panet Book 1 at the National Bookstore branch in SM City Cebu. All National Bookstore branches already have copies of book 1 while some have book 2. Other bookstores like Powerbooks Store and Pandayan Bookshop also have copies. I’m not sure if Booksale has copies though. If you can’t find a copy in your local bookstore, just try to ask. The customer service of National Bookstore has been really nice to us when we asked about the Diary ng Panget book 1. There are differences between the Wattpad version of Diary ng Panget and the one that has been printed on the book. The book version is slightly shortened and Denny or HaveYouSeenThisGirl, the author of Diary ng Panget, tried to eliminate unnecessary scenes. Instead of starting the story at the Wilford Academy, Denny rearranged the story to give a linear timeframe. The story started at the eatery of her aunt where she met Chad for the first time. Don’t worry, it’s still the same story but made more professional. I have to warn you though that there are several spelling mistakes with the Diary ng Panget book. I’m not sure if PSICOM is the best publishing company out there. The story of the first book also ends abruptly during the party of the beautiful British girl. It’s like a prompt to buy the second book.